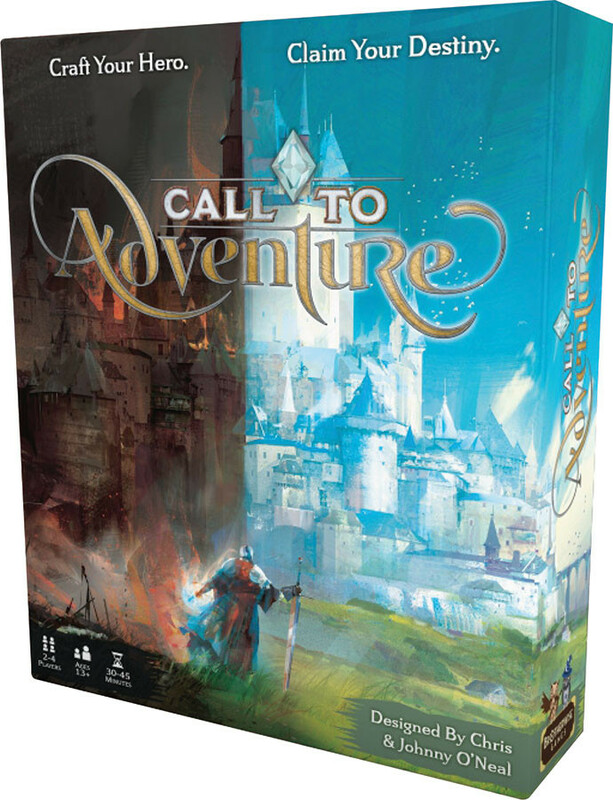 Call to Adventure is a tabletop game in which players compete to craft the hero with the greatest destiny. Play cards to build your character, cast runes to face challenges, and choose whether to follow a path of heroism or villainy. Play competitively, solo, or co-op! Your hero's story begins with your Origin, Motivation, and Destiny cards. Over the course of the game, you will add cards to your story as you acquire Traits, gain Allies, and overcome Challenges. To upgrade your hero and earn Destiny points, you must face Challenges. Every Challenge has two possible paths. Choose your path, then cast the runes to see if you succeed. You can also add Dark runes to your attempt, but beware of Corruption! Play Hero and Antihero cards to improve your odds or hinder opponents. Face evil Adversaries. In the end, the hero with the highest Destiny socre is the winner, but every player has the chance to create a character and tell an epic story!